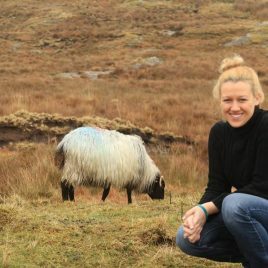 Welcome to Killary Sheep Farm in Connemara. A traditional working mountain farm with approx 200 ewes and lambs roaming freely in the mountain overlooking Killary Fjord, on the Wild Atlantic Way. On our farm we run mainly blackhead horny sheep which are most suited to survive on the mountains during the harsh winters. At Killary Sheep Farm visitors can view the following demonstrations sheepdog demonstrations, sheep sheering demonstrations, turf cutting demonstrations. Open from 1st April to 31st October. Please call in advance to avoid disappointment.